You’re no doubt sitting in an open office right now, listening to coworkers diligently tapping away on keyboards and speaking loudly into phone receivers, while trying to avoid being pulled into an intense conversation two seats down. These are just a few of the complexities of the modern workplace, where walls are coming down and layouts are opening up in an effort to encourage camaraderie and collaboration between employees. More than 70% of U.S. companies have transitioned to an open concept design, one that lends itself to more socialization and less privacy. It’s an atmosphere that’s naturally empowering for extroverts, allowing them to freely collaborate with peers, engage more readily, and fully absorb the spotlight. But what about the quiet leaders among us? There’s definitely something to be said for the value of introverts in the workplace. According to Susan Cain, author of the best-selling book “Quiet: The Power of Introverts in a World That Can’t Stop Talking,” introverts make up one-third to one-half of the workforce, and their talents can’t be understated. They put in the time, do their research, and often contribute to the conversation in distinctly creative and meaningful ways. Introverts typically shine in spaces where they can work independently within an established role, brainstorm privately in lieu of groups, and sidestep social interactions that would ultimately decrease their concentration and productivity. You may not always be able to control what happens in your work environment, but you shouldn’t feel guilty about stepping away if you’re feeling overwhelmed and unfocused. Step out for coffee, take a lunch break, or go for a walk to give yourself time to re-energize. Some offices have greater flexibility than others, so if it’s not crucial for you to be in the office, consider working remotely for a day or even a few hours to get important projects checked off your list. Balancing social and quiet time is important for introverts, so be sure to make time for YOU. While many open offices are designed for transparency, some have incorporated closed meeting rooms and intimate workspaces for employees – read: introverts – who work better with fewer distractions. Take advantage of these spaces as often as you need, especially if your environment becomes too chaotic and your productivity is suffering as a result. It’s not simply a case of ‘the early bird gets the worm,’ but more so a matter of adjusting your schedule to take advantage of the days when the office is more low key. Plan your major and more cognitive tasks for these days. It may also be helpful to space out your workday meetings so they’re not a drain on your energy. This will give you more time in between to review meeting agendas, prep your questions, and quietly contemplate takeaways post-huddle. Introverts tend to spend a decent amount of the day at their desk or workstation, heads down and focused on the project at hand. Why not make that space speak to your character and fill it with the things that help you relax? Break out your feel-good trinkets, stock the snack drawer, and create a work base that not only feels comfortable, but enhances your workflow. Have you ever found yourself in a situation where you didn’t prompt a social interaction, but it found you anyway? Perhaps you were calmly working on a project and suddenly pulled into an intense discussion by virtue of your role or proximity? 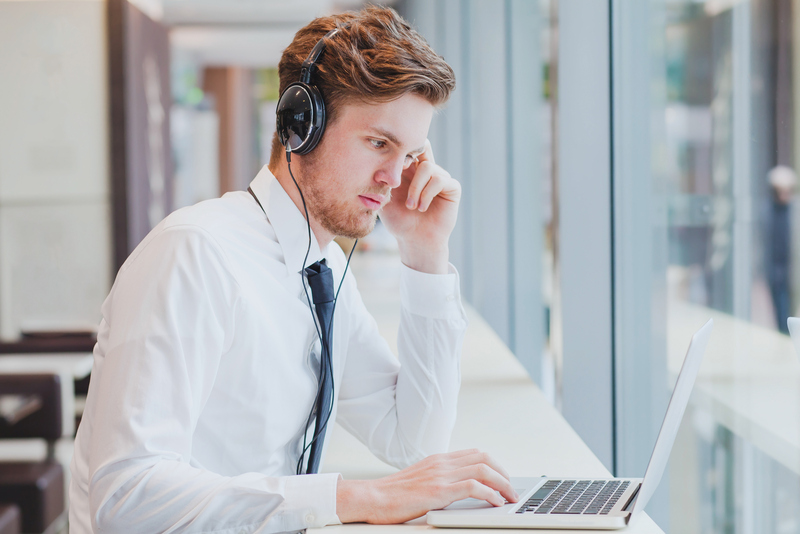 The next time this happens, consider a simple but specific signal – like headphones – that conveys to your colleagues that you’re in concentration mode. Think of it as a passive way to be respectful of the social dynamics of the office while setting boundaries and getting the space you need. Open workspaces are usually designed with cost efficiency in mind, but aren’t always cost-effective, especially when it comes to productivity and the introverted employee. If you’re an introvert who does your best work in a solo capacity with fewer distractions, these spaces can truly be counterproductive. For all the value you add the office, you shouldn’t have to spend your workday at odds with your environment. By implementing a few small adjustments, you can feel empowered to make your open office work better for you.